For whatever reason, William Friedkin‘s career has never really been all that big. Bear in mind that, while he may have some bad films to his name, this is also the same guy who directed movies like The Exorcist and The French Connection — there’s an undeniable talent in him. So, it makes me happy to learn that he not only has another film on the way, but that it should be released in the near future. 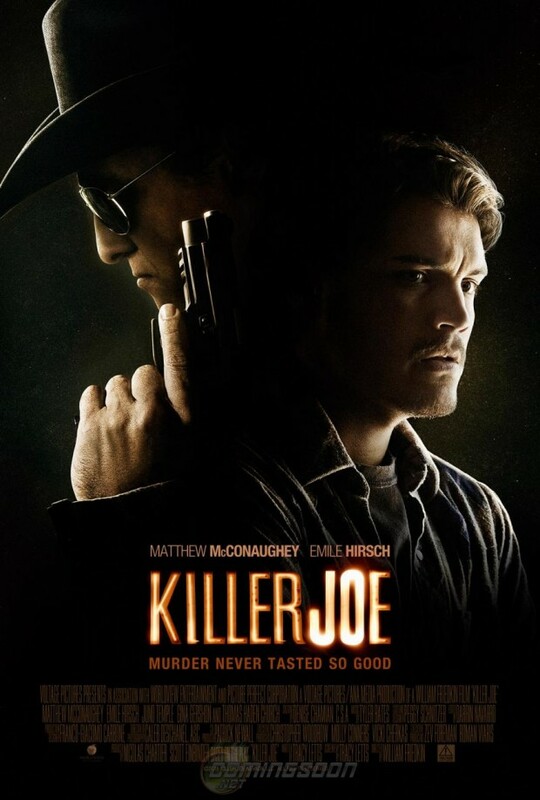 Titled Killer Joe, it stars Emile Hirsch as Chris, a drug dealer who needs to get $6,000 dollars after his mother steals his stash. He hires “Killer Joe” (Matthew McConaughey), a hitman who will take the life of Chris’ mother, which will allow her $50,000 life insurance policy to come his way. Joe decides to use Chris’ sister (Juno Temple) as “sexual collateral” before the money comes in. A drug dealer and a hitman? How could this not end well? Also starring Thomas Haden Church and Gina Gershon, the film will premiere at Venice and TIFF this month. This new poster, which debuted at MTV, was created by The Walking Dead artist Tony Moore; one look at it lets you know that a comic book illustrator did this. Not that that’s a bad thing — I like the design of it, and I think that it definitely stands out among a crop of similar marketing material that doesn’t exactly catch the eye. This will probably never be used in a movie theater or as home video art, although it’s still fun to have. Do you like either of these posters? Are you looking forward to these films?